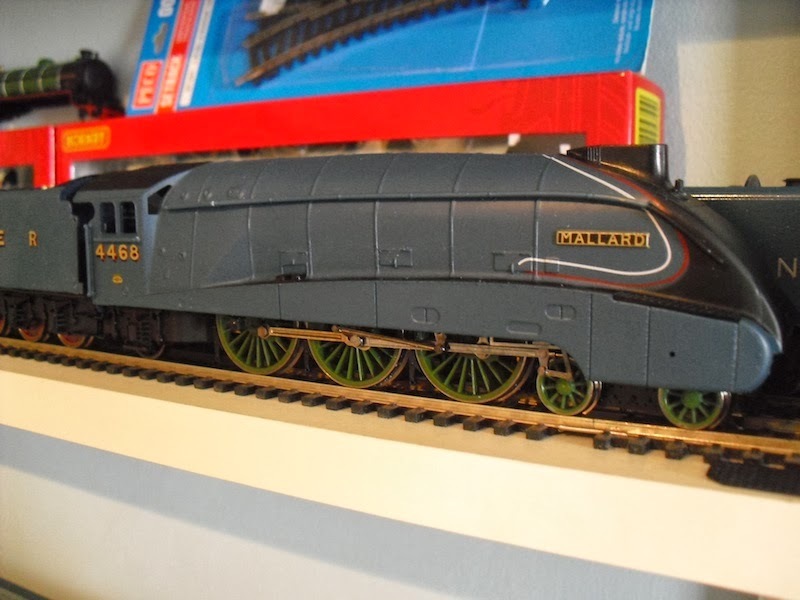 THE BRITISH RAILWAY STORIES LTD: "Great British Locomotives - conversion of Mallard - Bachmann A4 Chassis"
"Great British Locomotives - conversion of Mallard - Bachmann A4 Chassis"
Straight away, I knew it would have modelling potential and proceeded to buy up a few body shells to experiment with. 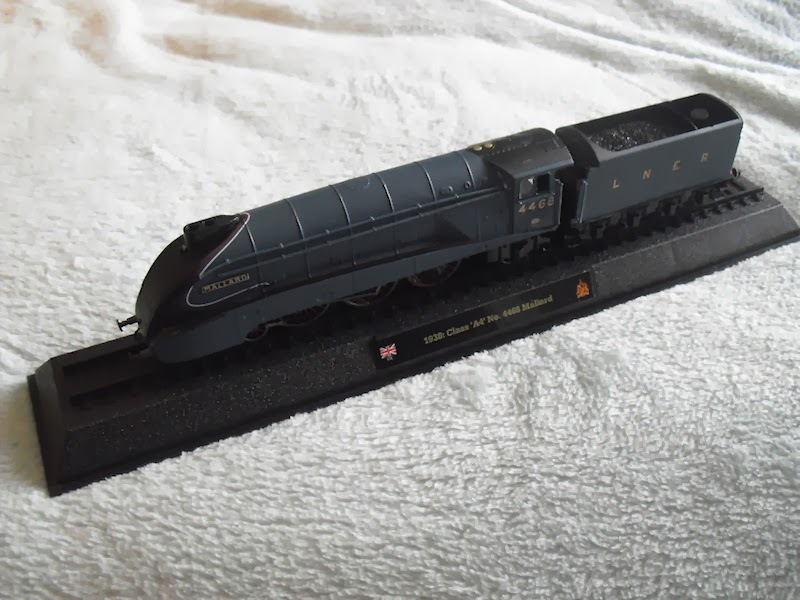 Looking at the model closely, it is clearly based on Hornby's super detail A4 model, and in fact exhibits a few of the same flaws. 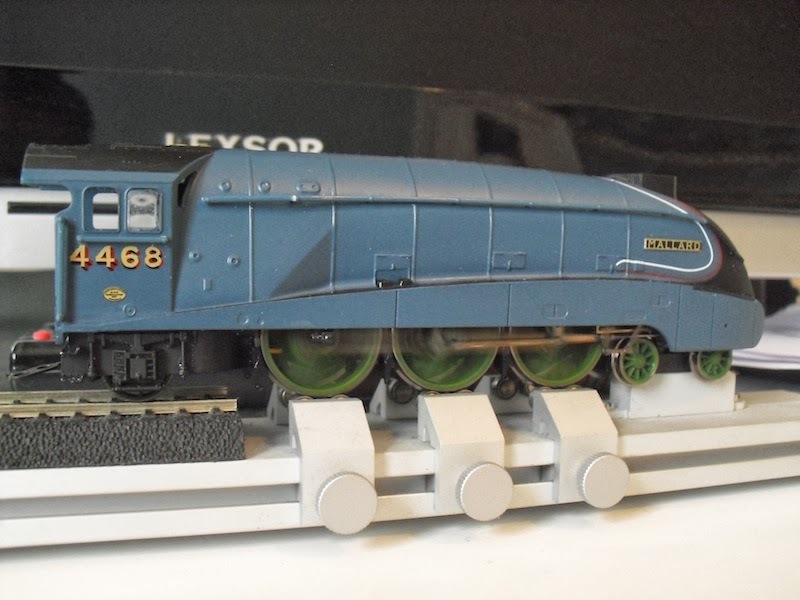 It is a much simplified model, with moulded handrails throughout (still separately applied mind!) and simplified fittings for the non working chassis under both locomotive and tender. So, as requested elsewhere, here a few pictures of my first conversions using the GBL body shells. 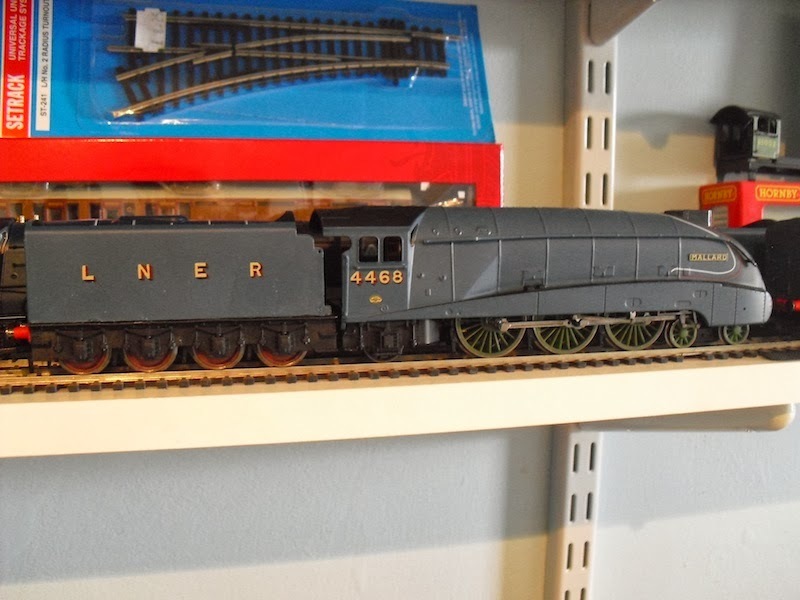 The first one uses the latest Bachmann A4 chassis (originally a William Whitelaw model) and the idea is to use the locomotive chassis in conjunction with a set of Hornby A4 non corridor tender frames, and the GBL body shell, to make a much improved "Bachmann" A4. This will be known as Prototype 1. 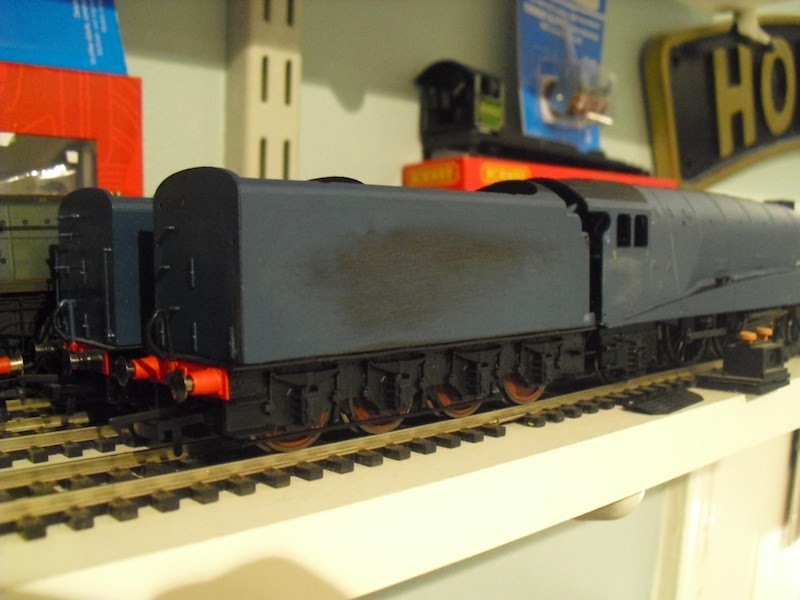 As you can see, at this stage I had simply removed the tender and locomotive body shell and fixed them loosely to the tender frames and locomotive chassis in order to see what needed to be done. 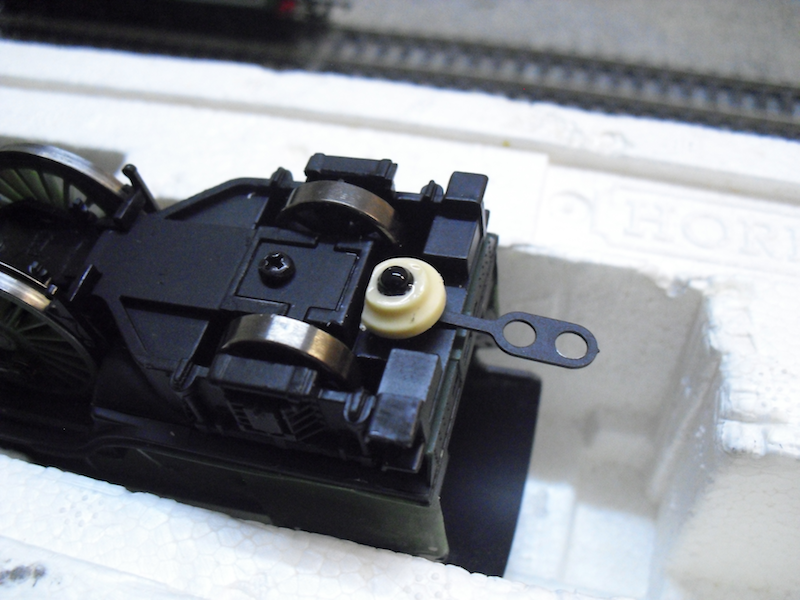 Under the body shell, in the firebox area, is a screw point which needs removing in order for the body shell to sit down on the locomotive chassis. The Bachmann chassis has a single attachment point at the front, and two small ones at the rear, so I modified the body shell accordingly to match this. 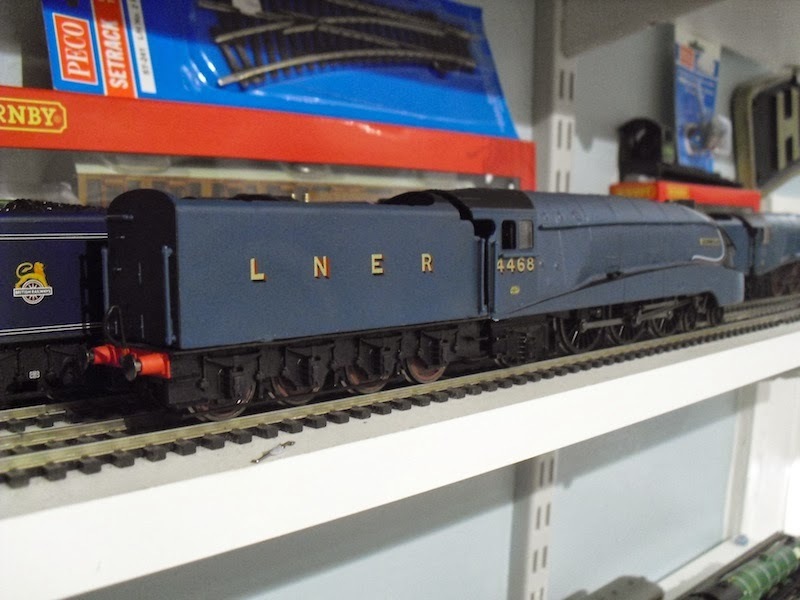 Fitting a new buffer beam to the Hornby tender frames, and carefully working on the fit of the body shell and tender body shell, we're at the stage before the real modelling starts effectively. Just ahead of Prototype 1 is a previous modelling project, no.32 Gannet. 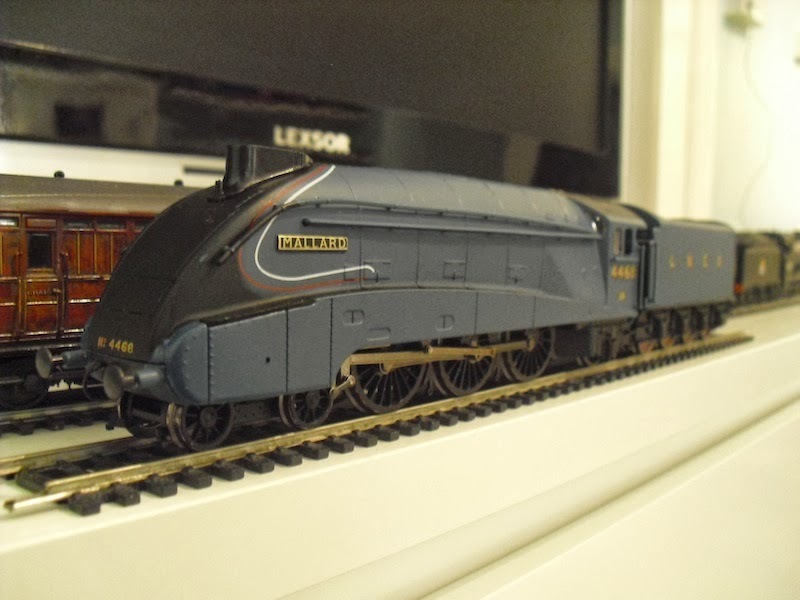 This uses a super detail Hornby A4 and one of my A4 Pacific conversion kits. 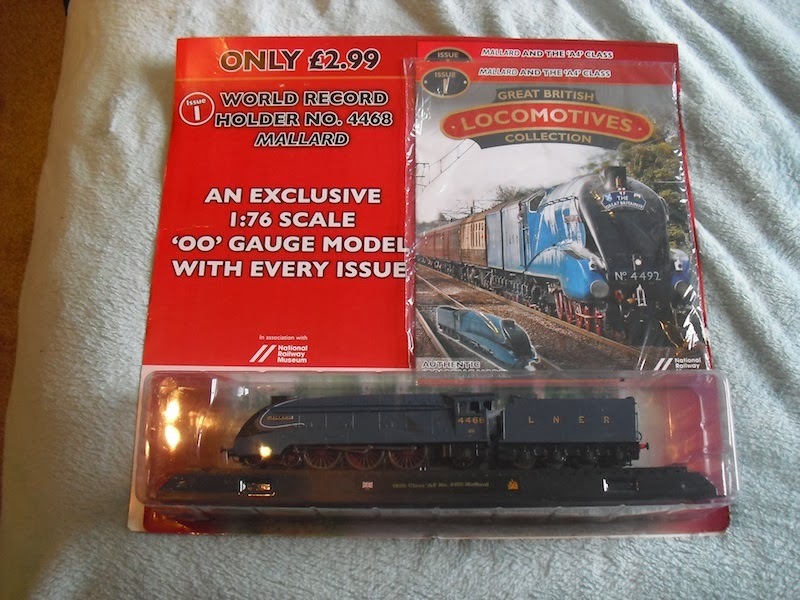 I plan on using spares from these kits in a similar fashion on the GBL body shell. On the subject of the kits, anyone who has not as yet been invoiced for a kit and knows they had a kit reserved, PLEASE EMAIL as soon as possible to the company address so I can sort them accordingly. 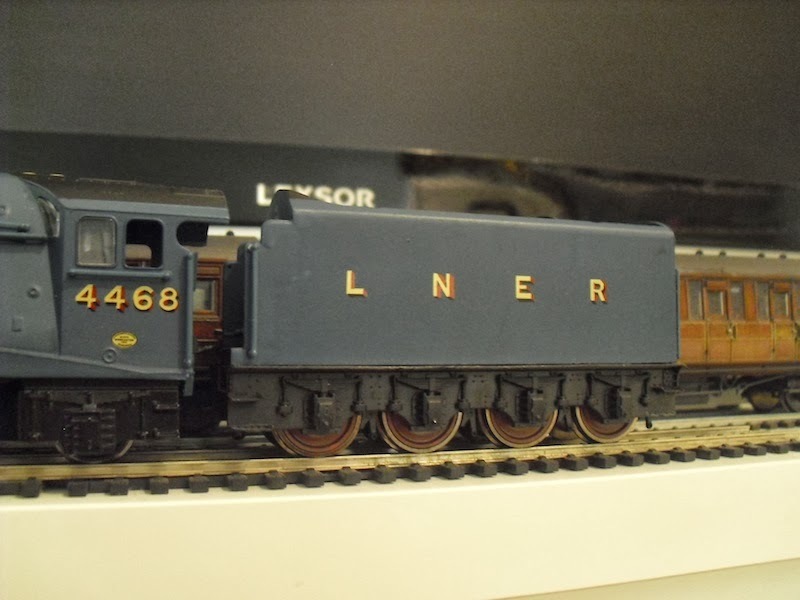 The tender from the GBL model showcases a few manufacturing problems, but these can be put right quite easily with filler and sanding paper. A few days later, prototype one has had its handrails removed. On the right is Prototype 2 awaiting its new chassis. 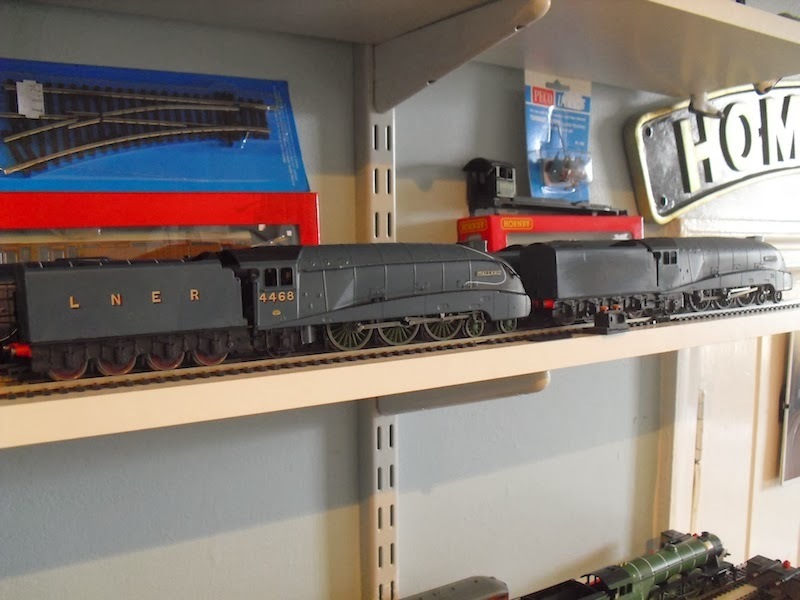 Prototype 2 differs from Prototype 1 in only one respect: it will be using a Railroad Flying Scotsman chassis instead of the Bachmann alternative. All the handrails were removed at this point, and the tender sides rubbed down. I had made a start on removing the nameplates. The chimney does come off very easily as it happens, and it will be replaced in due course with a single chimney from Graeme King's range of resin components. 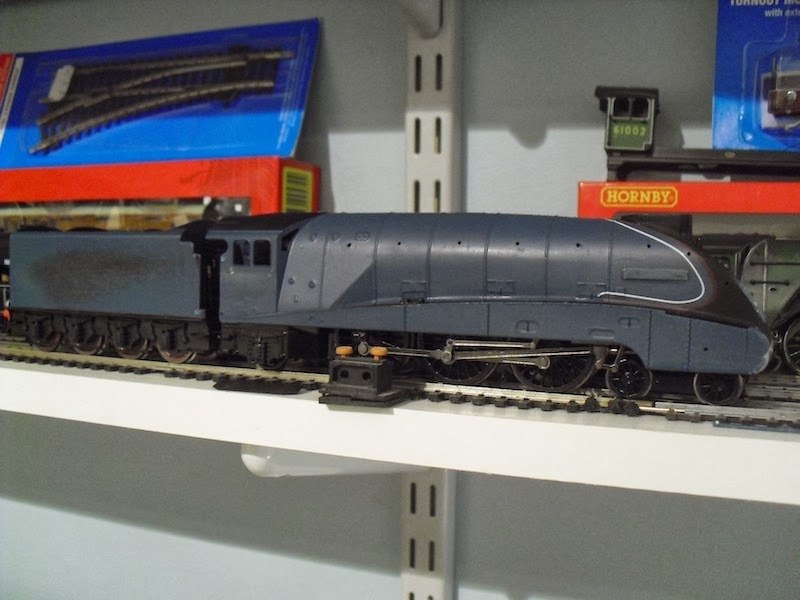 Overall, replacing the handrails on the tender and locomotive body are going to be surprisingly easy: most of them simply pop out and a small handrail will sort the rest. The bulk of the valve gear on the Bachmann chassis is the main reason for my decision to make two prototypes using different chassis. 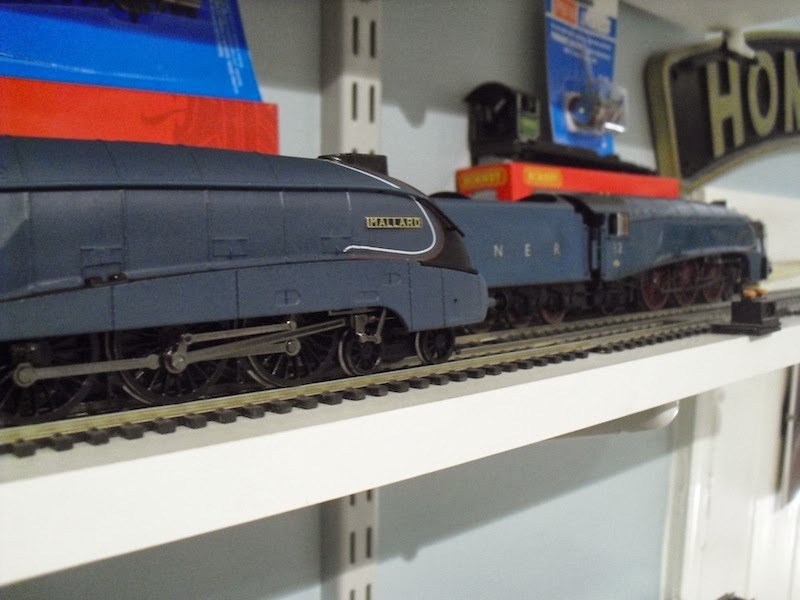 I want to eventually make a standard range of A4s for my new layout, and all other non standard A4s - including Gannet, depicted earlier - will be sold off to pay for the standard range. 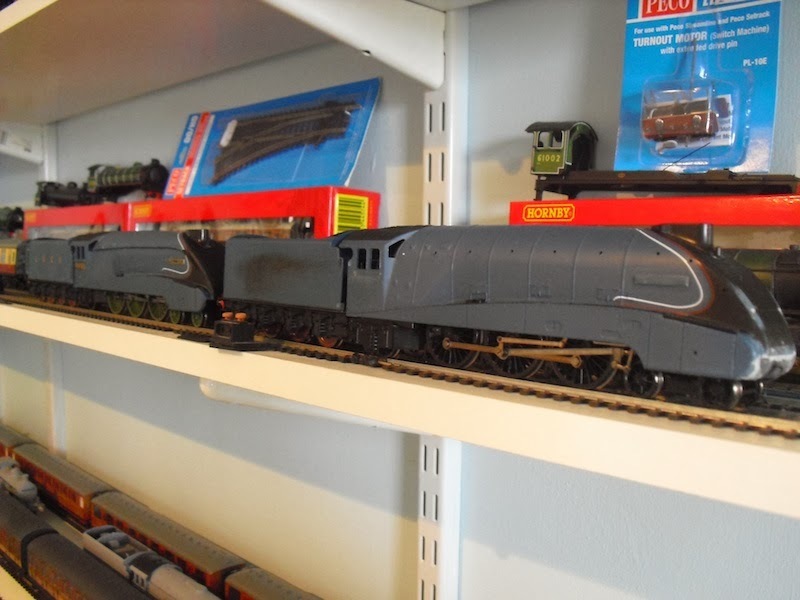 I just want them all to match and having such a hotch potch of A4s in my locomotive stud was rather depressing at times. 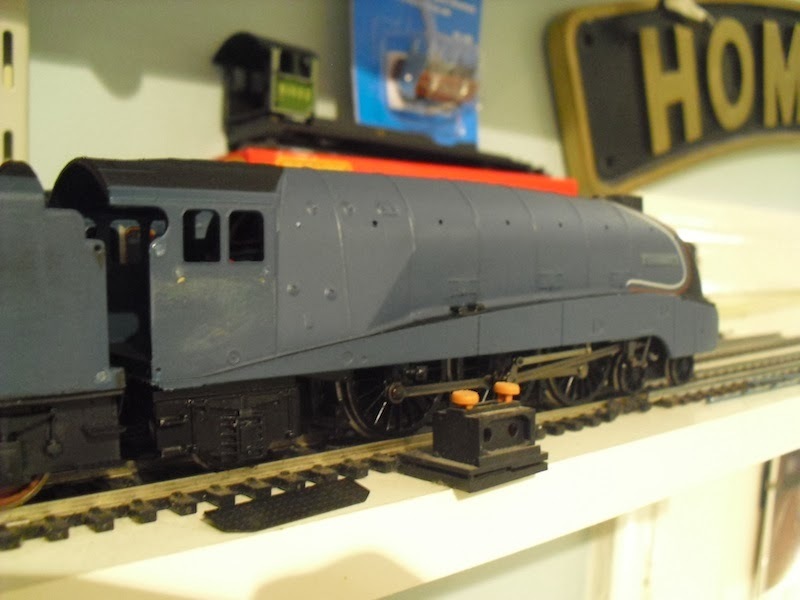 One improvement I am looking to make is at the front end with the buffers, and after gluing on, and filling the gaps in the buffer beam "apron", holes will be drilled for Maygib double spencer buffers to be fitted, thus fixing one aspect of the Hornby and Bachmann models I absolutely detest. A new front coupling will be fitted too! 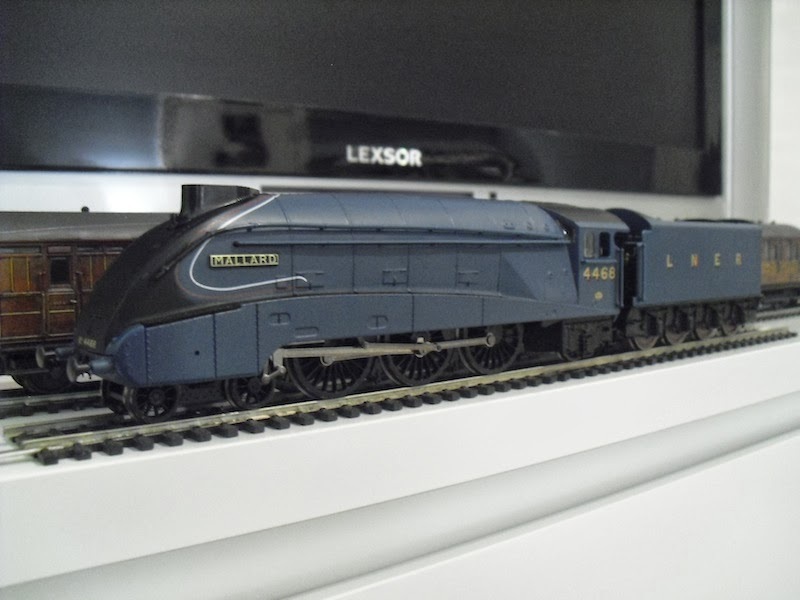 So, bringing the story up to date (March 2nd 2014) here we have Prototype 2, which as promised uses a Hornby Railroad Flying Scotsman chassis. This is the one with the flywheel and three pole motor, and I've been rather taken with this chassis. 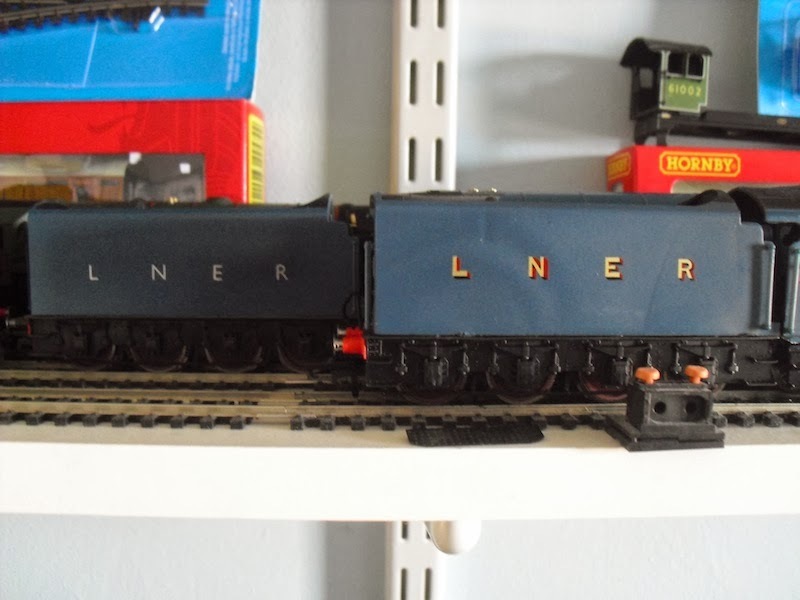 One modification I made to an earlier conversion using the Railroad Scotsman model that I will repeat is for the coupling between the locomotive and tender, as seen above. This means I can retain the commonality of parts between my entire locomotive fleet, as the coupling bar is on the locomotive and not the tender! Here's Prototypes 1 and 2 together, the differences and similarities between them quite obvious at this point. Prototype 2 is not as far along as Prototype 1 but both will have their valances removed and a few other jobs too before the end of this coming week. 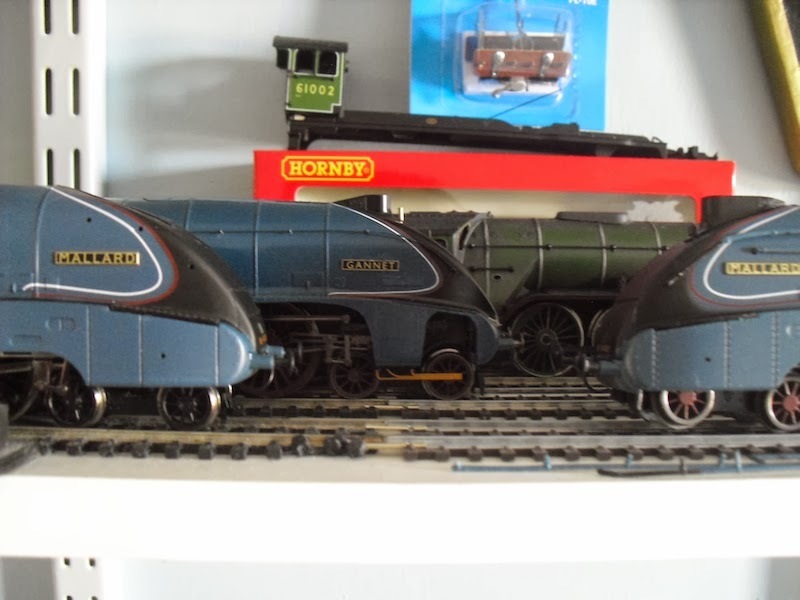 Overall, the great thing about the GBL body shells is that, being effectively cheap but accurate knock offs of the Hornby A4 model, a large number can be bought to model with (at £2.99 for crying out loud - and a few I bought in bulk at £1.50 each come to that!) and it doesn't matter particularly if you damage one as it was only £2.99. 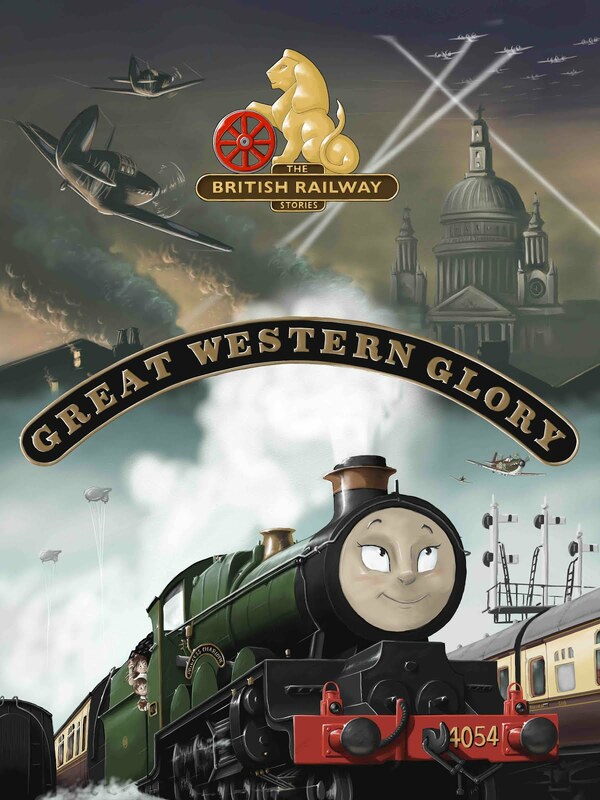 Further editions in the series are more expensive and obviously this will affect our buying habits. Nevertheless, good value for money and hopefully will produce a few unique silk purses from some not so sow's ears. Last update: I had Prototype 2 fitted properly onto its chassis and running happily. 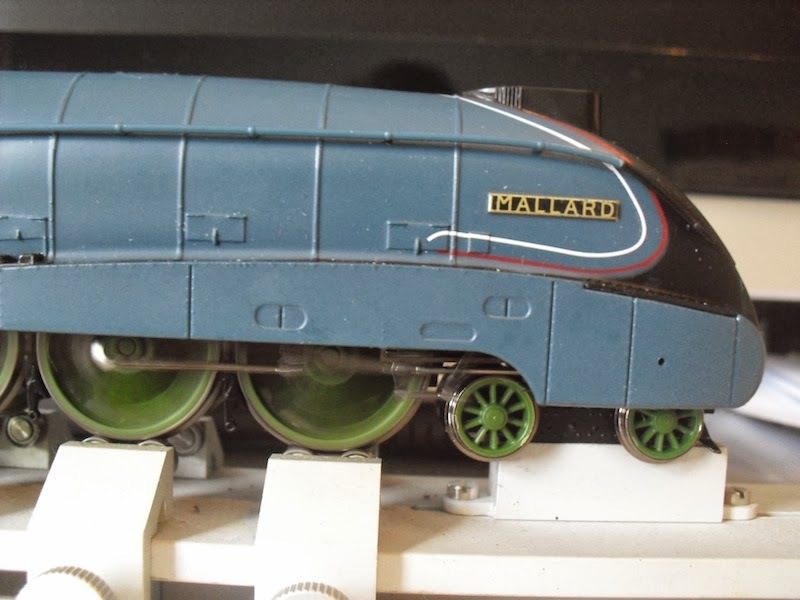 The only thing I have noticed is that the valve gear tenders to be too low into the body shell - this is down to Hornby's design of the valve gear, in a way, so I will have to find a way of compromising on this issue once the valances are removed. That said, it's entirely possible that this issue won't be noticeable when the valances are removed! 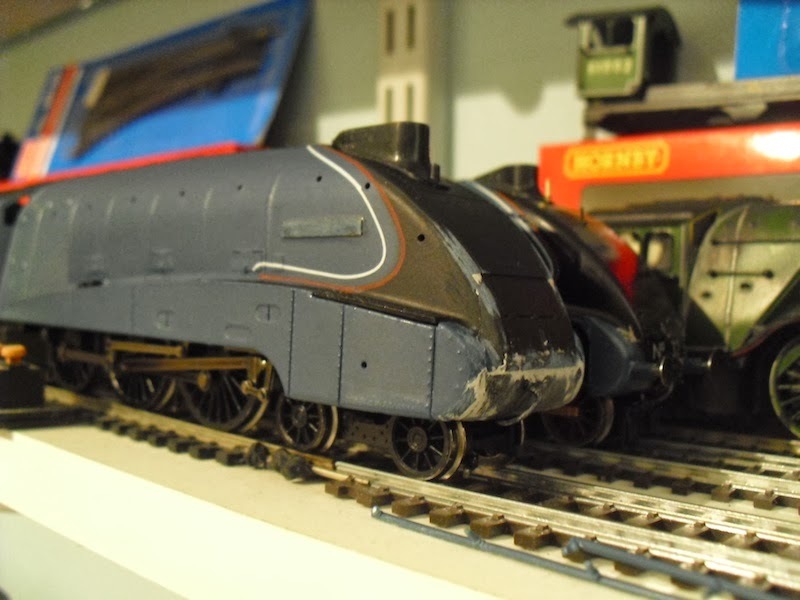 Prototype 1 will end up as 60006 Sir Ralph Wedgwood, Prototype 2 is likely to end up as no.25 Falcon.